Let me introduce my newest website, MIA. This stands for media + inspiration + art. 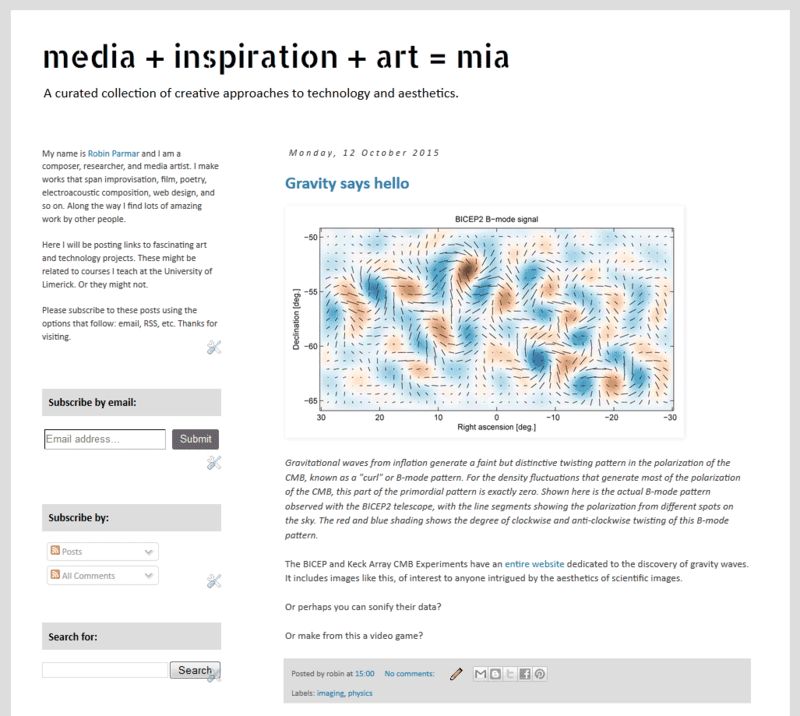 It's a blog, a curated collection of creative approaches to technology and aesthetics. There I will be posting links to fascinating projects that might be related to courses I teach at the University of Limerick. Or might not. I won't be passing much comment, but instead hope to give you a daily dose of inspiration. It will become a repository for ideas I think are particularly worthy. Check it out, and subscribe via email, RSS, etc. Update: URL updated for 2016.